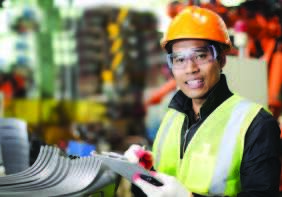 ReiTech’s safety experts know that OEM and commercially available guards and shields may not be readily available to meet all the OSHA requirements and ANSI standards. Many machines found in school Tech Ed centers require detailed custom fabrication to provide the required protection while maintaining necessary machine productivity and accessibility. From our extensive work with Minnesota schools we have developed a comprehensive inventory of custom made guards and shields not available elsewhere. These guards have been designed and fabricated with the student in mind making them the most appropriate and cost effective solution for your school. Many machines found in school Tech Ed classrooms require several different types of shields, guards, emergency stops, and magnetic controls, to meet current regulatory requirements. These are just a few samples of the hundreds of machine specific guards available from ReiTech. The EASY GUARD™ opens easily for quick tooling and work piece changes. Controls drilling chips and broken bits. Helps prevent inadvertent contact with the point of operation. Mounts in minutes with common tools. Opens quickly with a single hand motion for bit and workpiece changes. Fully adjustable to fit all post mounted drill presses from 8″ to 20″ throat sizes and 1½” to 4″ post sizes. 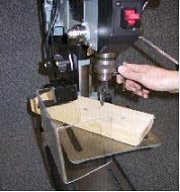 Please have the make and model of your drill press ready when you call. 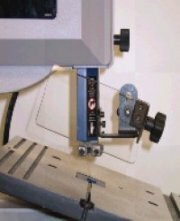 Models are available to fit almost any size band saw. All models tilt to accommodate your project. Heavy gauge, laser cut steel provides OSHA compliant protection from chips and broken blades when properly used. Easily adjustable, fits most common wood and metal-working bandsaws. 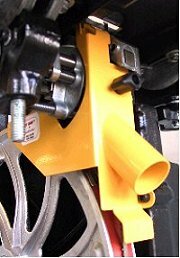 Mounts quickly with single existing OEM support fastener. When ordering, please specify the make and model of saw you wish to equip. 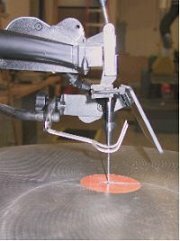 ReiTech is proud to introduce our new line of chip shields and guards for bandsaws. After listening to users and conducting extensive research, we created practical and economical point-of-operation guarding devices that are superior to any others available. Easily installed with common tools, the EASY GUARD™ Scroll Saw Shield meets the most rigid operational requirements. Fully adjustable and stays put when in use. Mounts quickly with single existing OEM support fastener. Please specify the make and model of saw you wish to equip. ReiTech is proud to introduce our new line of chip shields and guards for scroll saws. After listening to users and conducting extensive research, we created practical and economical point-of-operation guarding devices that are superior to any others available. Helps prevent inadvertent lower blade and wheel contact related injuries. Fits most Delta 14″ Band Saws. Requires no adjustment once installed. Fits Delta 14″ Band Saws with following Cat #s 28-243, 28-245, 28-255, 28-263, 28-270, 28-275, 28-278, 28-280, 28-283, 28-293, 28-299, 28-303 Kit includes Quickmount bracket, lower blade guard and wheel guard. 4″ Vacuum adaptor sold separately.